A couple of weeks ago we took a short walk through the centre of Bristol to visit the Mercure Holland House Spa to try out their facilities, and catch up on all things Christmas! After initially navigating ourselves to the wrong Mercure Hotel, we put our heads together and managed to arrive just in time to cut loose, don our swimming caps and goggles and head for our treatments. We both had a tranquility scalp massage followed by a cleansing and purifying back treatment and were so impressed with our wonderful masseuses. As we were both a little apprehensive about what the treatments would involve (prudes or what? ), it was lovely to just be able to take ten and relax, rather than try to make half naked small talk. One of our favourite things about the spa was how you are given free reign of the facilities, with the staff just letting you get on with your reclining, paddling and, errr, even more reclining. After our treatments, we felt free to spend an hour or so just lazing around in the relaxation room, sipping on endless tea and coffee. We only left because it was getting a little latte… ahem! 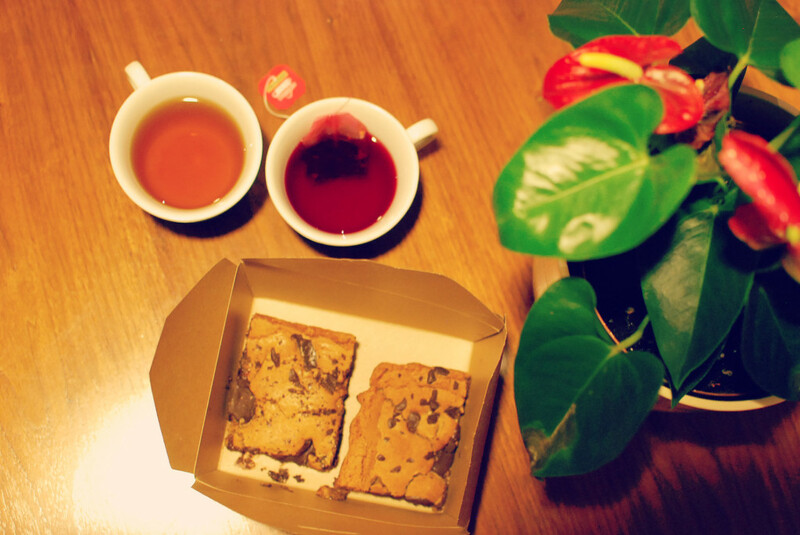 We also *may* have snuck in a couple of our favourite Pear Cafe brownies to indulge on as we relaxed. What do you mean that isn’t what you are supposed to pack for a spa day?! You’re all doing it wrong. To finish our day we popped to the hotel restaurant for a late (post brownie) lunch of smoked salmon sandwishes and a yummy shot of soup before taking another well deserved rest which was followed by a dip in the pool. You could say the day went swimmingly! Do you know of any great spas in the South West? If so, pop them into the comments box below as we’d love to pay them a visit! Make sure you give the Mercure Holland House Spa a whirl(pool) first. This entry was posted in Bristol, Lifestyle and tagged Bristol, Mercure Holland House Spa, Mercure Hotel, Pear Cafe, Spa Day by She and Hem. Bookmark the permalink.